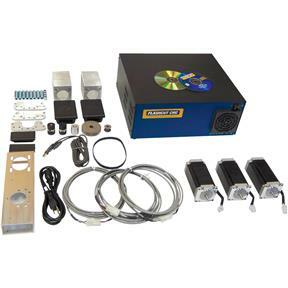 Upgrade the 2.5 Amp Compact Controller to an 8 Amp Pro-Series Microstepping Controller for more speed and power. 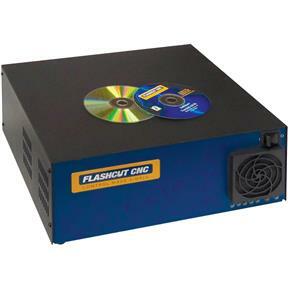 Includes FlashCut CNC Windows-based software, (3) NEMA 23 454 oz-in stepper motors with 10' cables, motor mounts, pulleys, belts, and associated hardware. Designed for our G0619 Deluxe Small Mill/Drill and G0463 Mill/Drill.